The war memorial in the Scottish village of Bridge of Weir lists 72 men who died during the First World War. Their deaths occurred in almost every theatre of the war. They were awarded very few medals and their military careers were not remarkable – except in the important respect that they, like countless other peaceful civilians, answered their country’s call in its time of need. 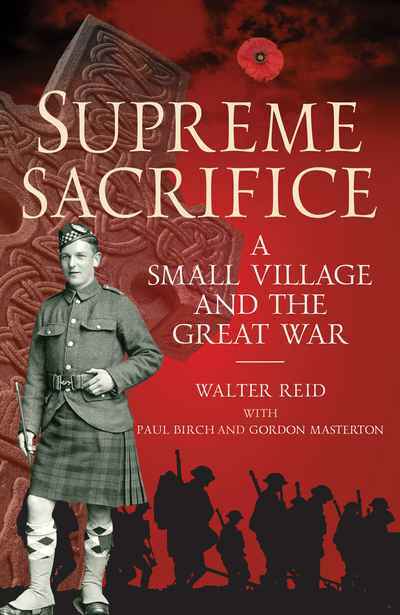 This book follows the lives of these sons of Bridge of Weir, not just as soldiers, sailors and airmen, but as husbands, fathers, sons, brothers and members of a small local community which felt their loss intensely. At the same time it also paints a larger picture of the war – of the politicians and generals and military campaigns which shaped it.